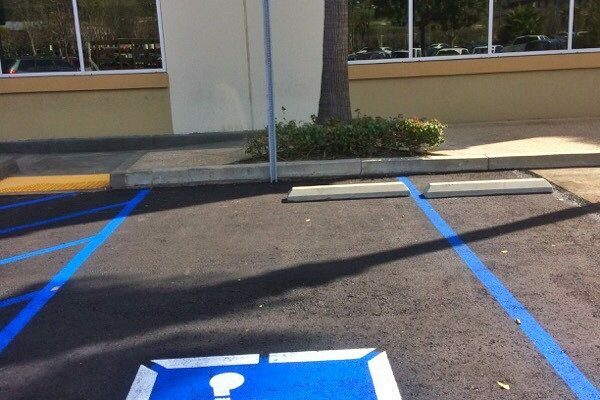 Proper ADA access is a crucial to any building or store to accomplish meeting the ADA requirements as well as increase the property’s value. 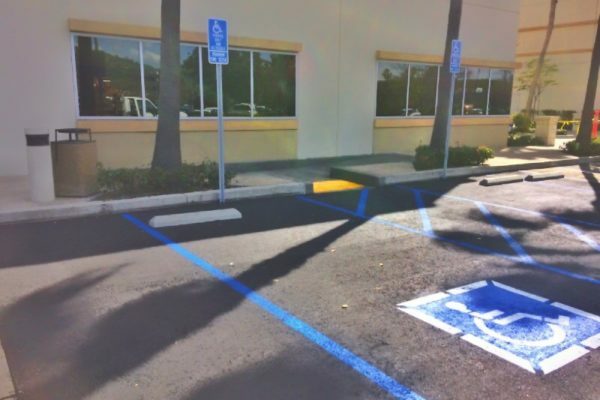 Caliber Paving recently completed an ADA job which included: demo of existing non-compliant paving and replacing it with a new concrete handicap ramp which included installation of truncated domes (yellow in color), an overlay of asphalt to comply to ADA standards, followed by the striping of the blue stall lines, cross hatching, and handicap symbols. 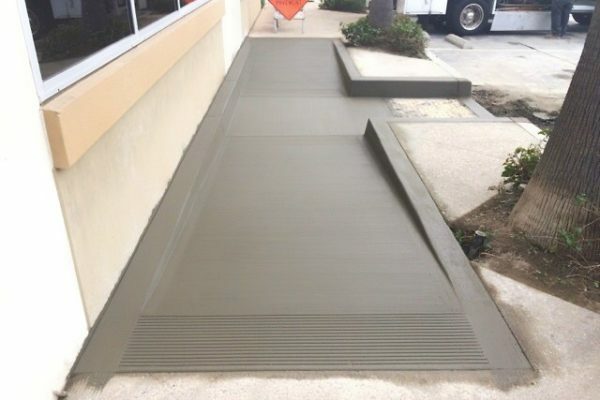 Everyone has the right to access any commercial, industrial and retail building or store entrance. 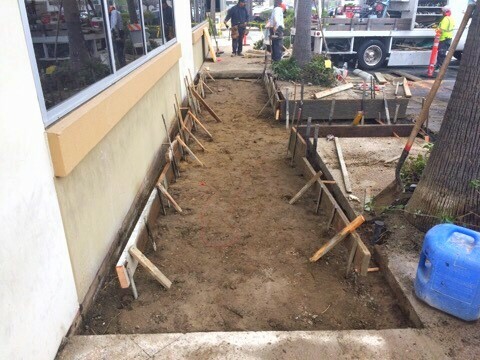 This timeline of pictures shows…from beginning to end the process it took to update the ADA access to the building. 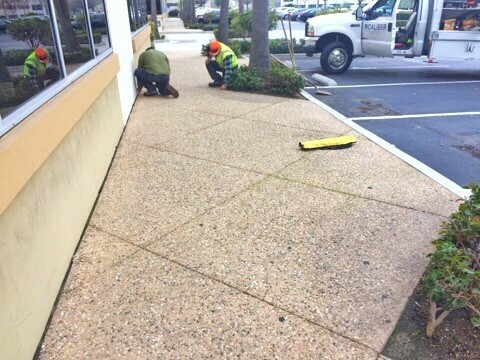 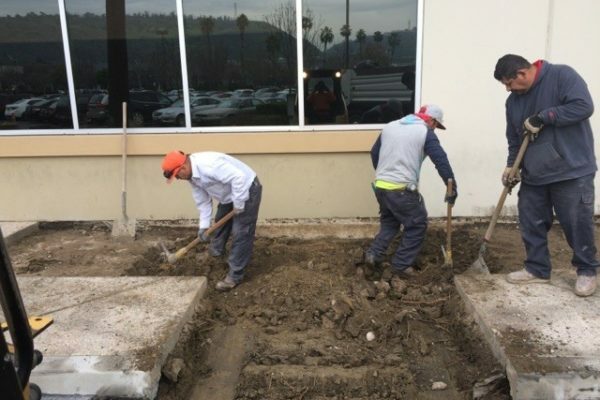 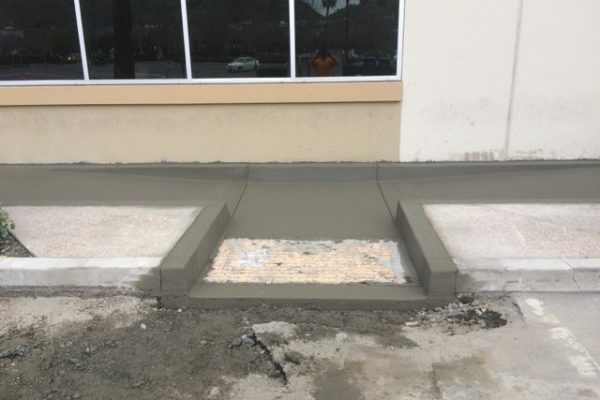 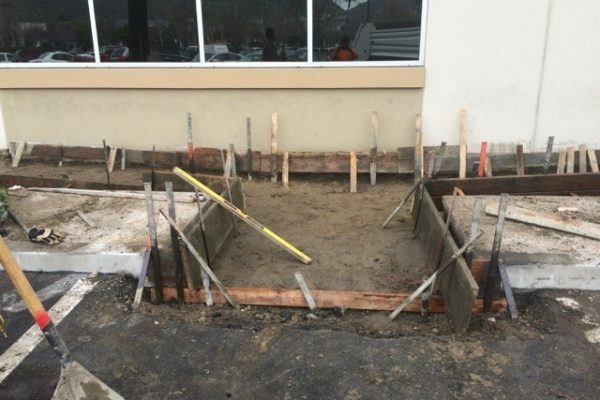 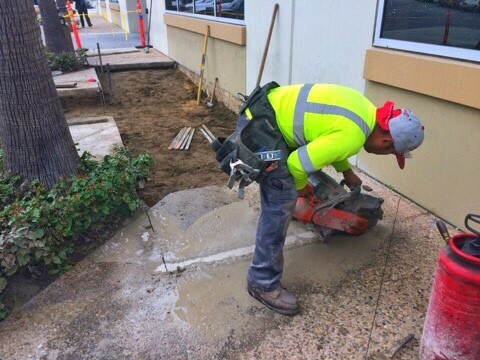 The project started with the demo of the existing concrete sidewalk and curbs and replacing with a new ADA compliance concrete ramp. 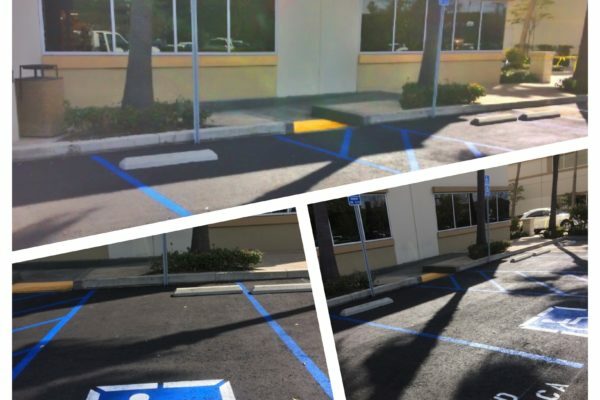 The new compliant ramp also included the supply and install of truncated domes, yellow in color. 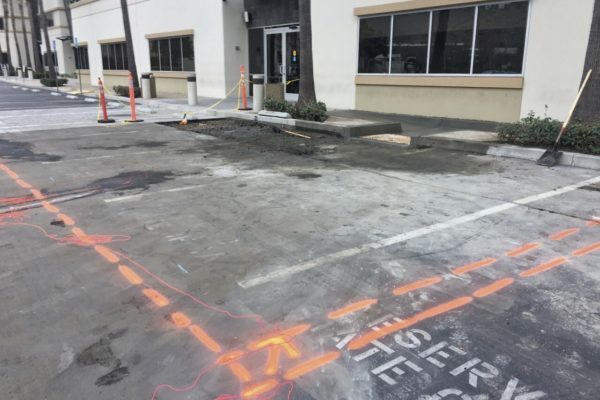 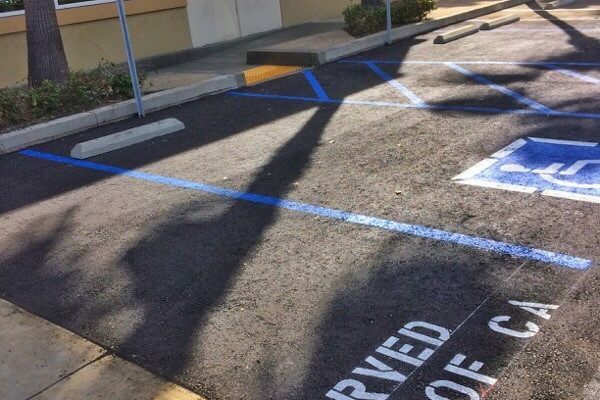 The asphalt that was in and adjacent to the new location of the handicap stalls had to be updated to comply with the two percent max slope requirements so an asphalt overlay along with patching of certain areas was included. 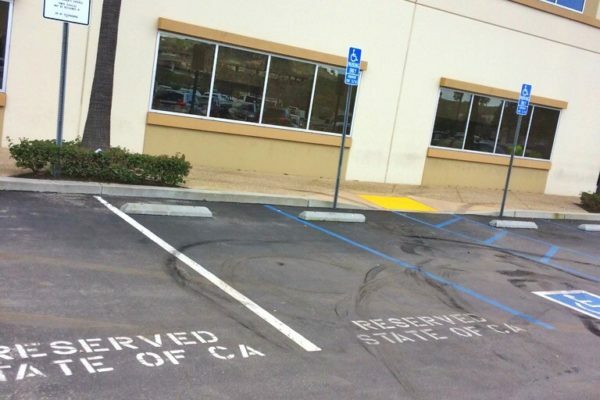 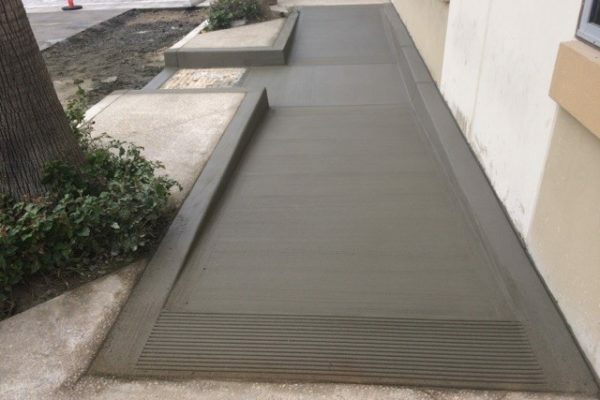 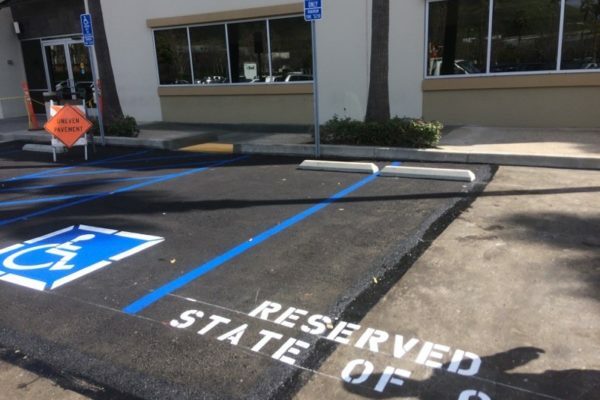 The finishing steps of striping the handicap stalls, supplying and installing updated handicap signs with posts, and installation of concrete wheel stops concluded the ADA update to the property. 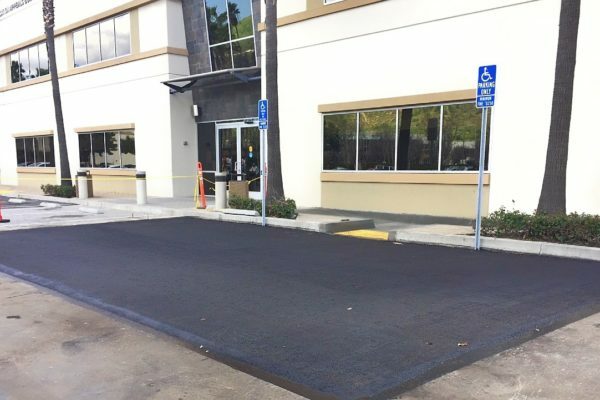 The entire “Caliber Family” (as we like to call them) did a great job from start to finish for this particular area located at the University Corporate Center in the city of Pomona.